Are you a health or fitness expert looking to share your message, but don’t know how to reach your audience? Create a free expert listing here on Smashon! We highlight the best in health and fitness experts! We love our health and fitness experts and cross-promote! Use our platform as your home-base to create free events, post articles to engage your audience, be known, and and build your brand! I’m Edie Summers, one of the experts for Smashon, and the content officer as well. I am a wellness professional, and I know what it’s like to have a message and products and services, but have not been able to serve the people I wish to serve because I can’t effectively and consistently find enough clients. Serving and helping people live healthier lives is the easy, rewarding part. Finding clients is the hard part. Make your life easier by creating a free expert listing on Smashon.com. Smashon focuses on health, fitness, and wellness. We have two platforms to serve your needs as a wellness professional: our social media platform to be highlighted as a valuable expert and where you can engage your fans and potential clientele by creating free events, writing great content (which we promote on our social media), and messaging your fans and clients directly. We also have a business platform where you, yourself, can create real-time, must-have promotions instantly to reach your fanbase and potential clientele right on their smartphones! 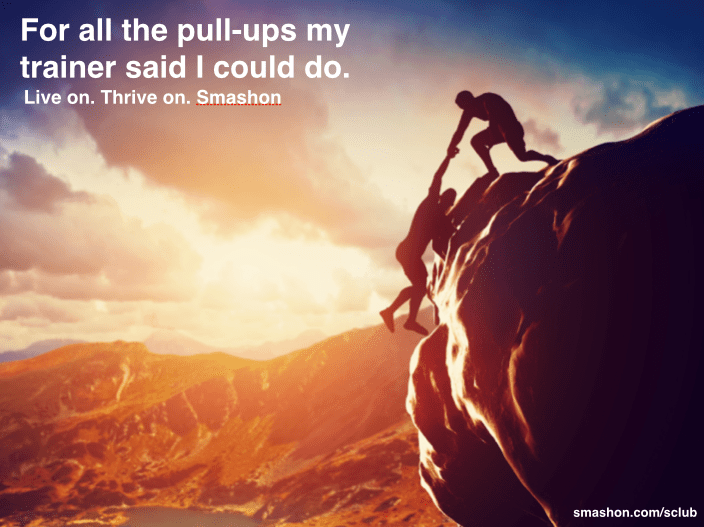 Smashon is dedicated to highlighting you as a valued wellness professional. We know how hard it is to market yourself. We do the heavy lifting for you, so you can focus on serving your fans and clients and focus on doing what you do best!